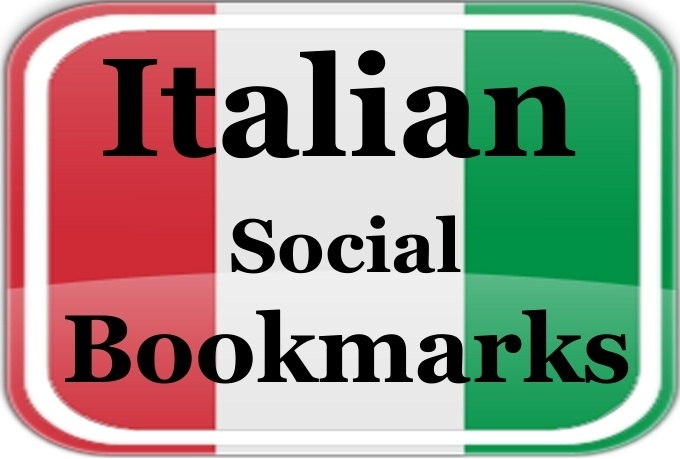 Italian Social Bookmarking Service gives your website better visibility and the website gets noticed. Backlinks are the main frame of determining where your Website, Blog, video or any kind of content will be positioned in Search Engines. I will give you high Quality Backlinks from Italian sites which will boast up your ranking and traffic. It is done manually and it is 100% white-hat.